Numerical modelling of geodynamic processes was predominantly the domain of high-level mathematicians experienced in numerical and computational techniques. Now, for the first time, students and new researchers in the Earth Sciences can learn the basic theory and applications from a single, accessible reference text. Assuming only minimal prerequisite mathematical training (simple linear algebra and derivatives) the author provides a solid grounding in basic mathematical theory and techniques, including continuum mechanics and partial differential equations, before introducing key numerical and modelling methods. 8 well-documented, state-of-the-art visco-elasto-plastic, 2-D models are then presented, which allow robust modelling of key dynamic processes such as subduction, lithospheric extension, collision, slab break-off, intrusion emplacement, mantle convection and planetary core formation. 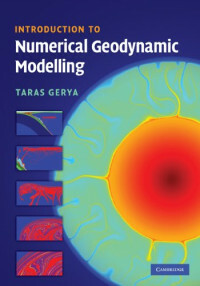 Incorporating 47 practical exercises and 67 MATLAB examples (for which codes are available online at www.cambridge.org/gerya), this textbook provides a user-friendly introduction for graduate courses or self-study, encouraging readers to experiment with geodynamic models. The Only Complete Guide and Reference for NetBeans IDE 4.1! An introduction to the Visio environment and conceptual information about Developing Microsoft Visio Solutions. Whether you've been weight training for years or are newly interested in getting toned, Essential Strength Training Skills offers advice ideal for both beginners and seasoned veterans.